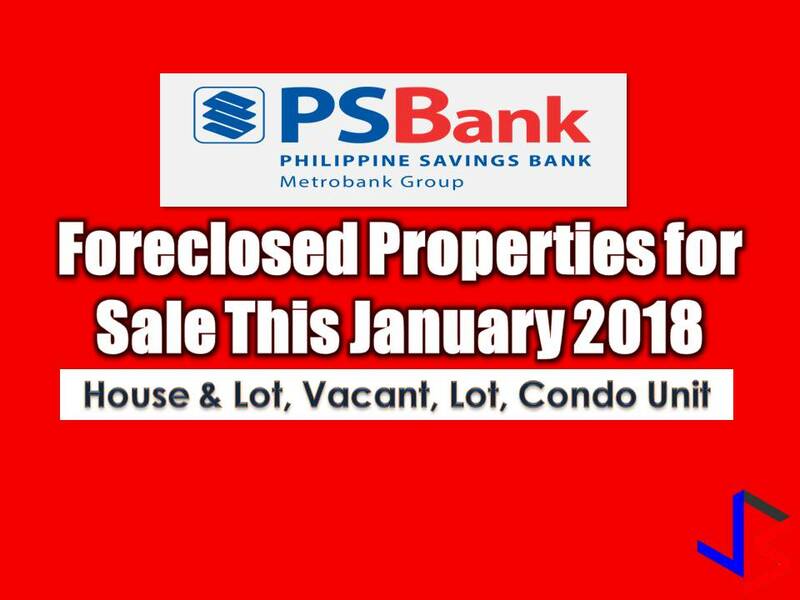 The following are foreclosed properties from Philippine Savings (PS) Bank this January 2018. Interested parties may choose from long list of a vacant lot, house and lot, and condominium units. This is not a sponsored post and we are not affiliated with PS Bank. All information is taken from PSBank Website for General Information Purposes Only. Contact information is at the bottom of this page. For Inquiries, Please contact Asset Sales Dept.